LWF's fundraising efforts include product sales! Browse our selection of unique merchandise below. Every purchase you make supports a healthy Lake Winnipeg! Cheers to the lake with our exclusive line of lake-themed glasses! Created in conjunction with our 2017 summer beer series, these are the perfect addition to any home or cottage (and they make great gifts, too!). 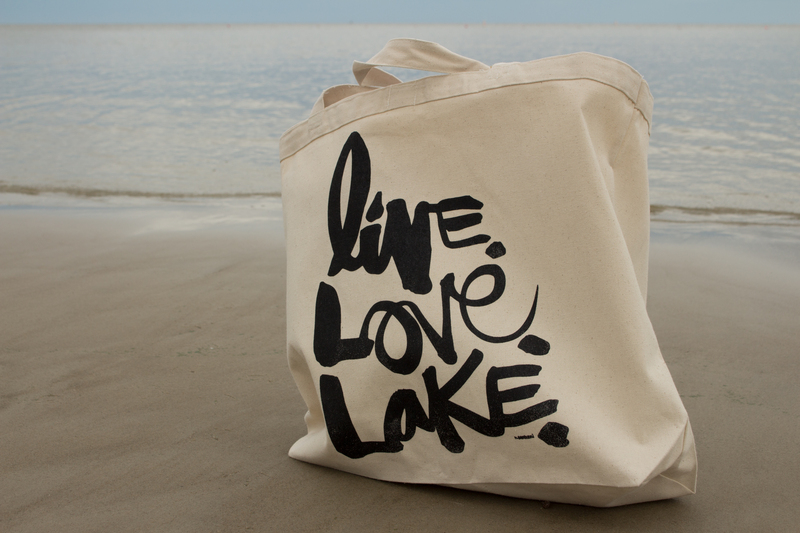 Show off your love for the lake with these unique #kbscript wooden art pieces and tote bags, designed exclusively for LWF by local artist Kal Barteski and featuring Kal’s signature brush script! Purchased pieces can be picked up at the LWF office or shipped to you within Canada for an additional cost. (Remember to add “shipping cost” to your cart when placing your order online and choose the shipping cost associated with the size of your piece.) *Please note: Due to fragility and/or weight, we strongly encourage in-person pick-up if at all possible. Our Love, Lake Winnipeg: a tribute to the songs of Sol Sigurdson EP features four tracks from Riverton singer-songwriter Sol Sigurdson’s 1970 cult classic, The Lake Winnipeg Fisherman, reimagined by Manitoba musicians Jess Reimer, DJ Co-op, Scott Nolan and John K. Samson, and Mise en Scene. Included with the EP is an eight-page full-colour booklet featuring messages from Sol and producer John K. Samson, as well as lyrics to all four songs. Created in the 1940s and 50s by celebrated artist Henry Eric Bergman (1893 - 1958), these vintage wood engraving prints are a piece of local art history that depict the unique ecological beauty in Manitoba’s backyard. Featuring plants found within Lake Winnipeg’s watershed, each print comes mounted on an 8 x 10, acid-free, archival mat – all that’s missing is the frame! Prints can be picked up at LWF’s office or shipped to you within Canada for an additional $15 – remember to add shipping costs to your cart when placing your order online. We're grateful for the support we recieve from local partners who choose to donate a portion of proceeds raised through the sale of select merchandise. Learn more below! Local jeweller Hilary Druxman has done it again! 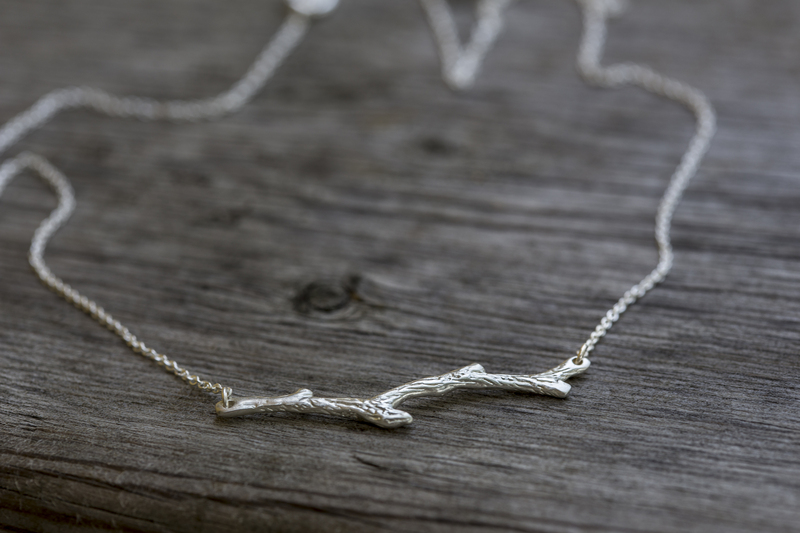 Designed as part of her popular philanthropic collection in celebration of our 10th anniversary, this handcrafted sterling silver necklace was inspired by the unique natural beauty of driftwood. 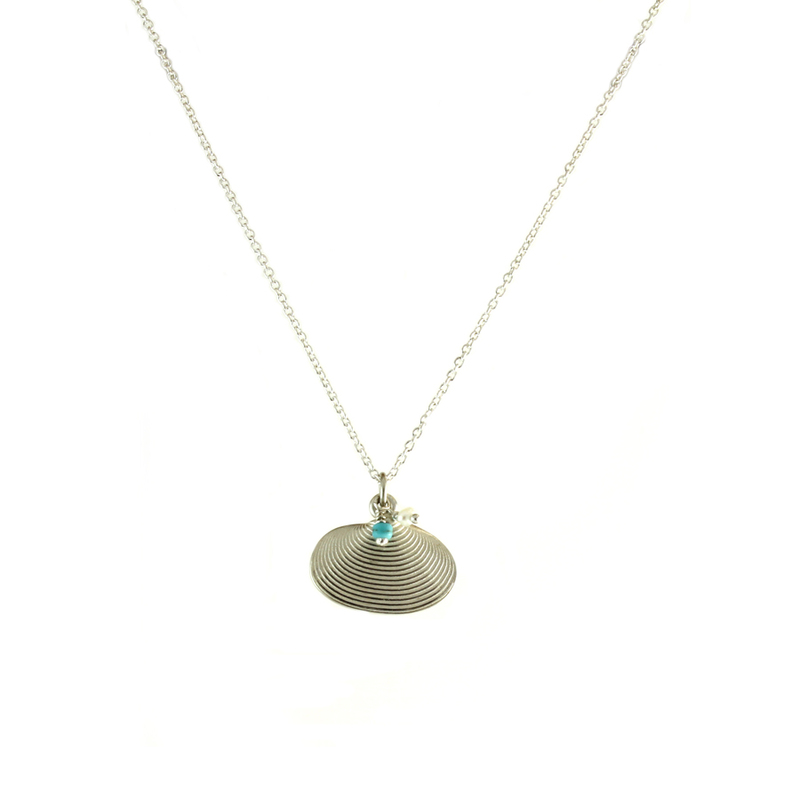 Wear it on its own or as the perfect companion piece to our signature shell necklace. (It also makes a great gift!) Each purchase supports our mission to restore and protect the health of Lake Winnipeg. Get your necklace at the LWF office (just call or email first! ), at LWF outreach events, at Hilary Druxman's Winnipeg boutique or online. Local jeweller Hilary Druxman has designed this handcrafted sterling-silver shell necklace exclusively for LWF, sold as part of her popular philanthropic collection. Pick yours up at the LWF office (just call or email first! ), at LWF outreach events, at Hilary Druxman's Winnipeg boutique, or online. Supporting LWF never looked so good!